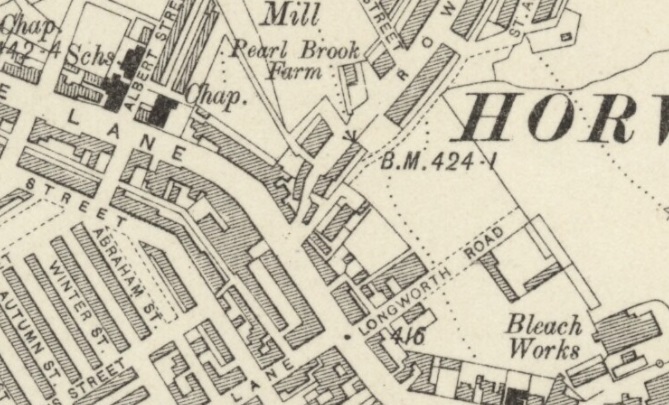 Originally known as Union Street (now the shortest street in Horwich), this row of cottages began near to the junction with Cooper Street and continued to the bottom of Brownlow Road. The present row of shops was built in front of the old cottages in 1886. 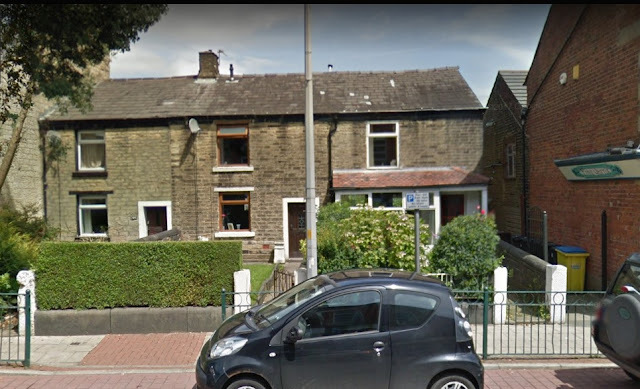 The gable of these old cottages can still be seen with the inscription 1824 on a cornerstone. Marriage: 13 Sep 1870 Horwich Chapel, Horwich, Lancs. 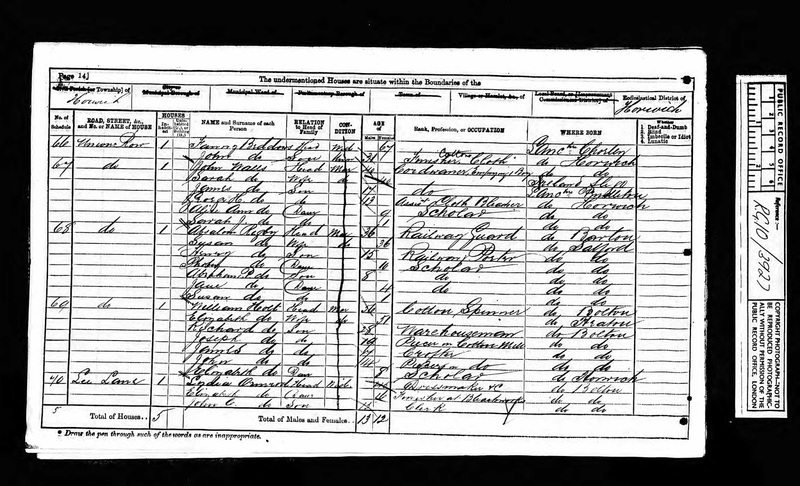 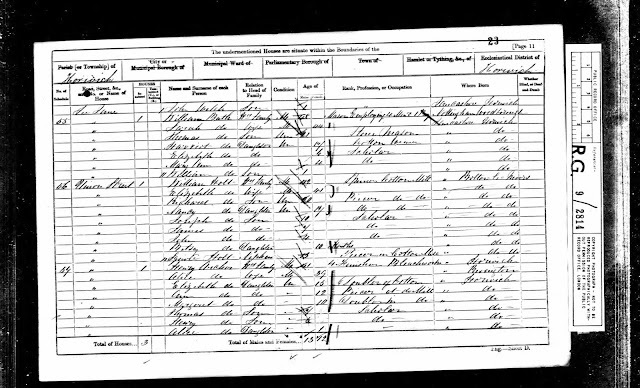 William Holt was the landlord but was listed as a cotton weaver on the census records, as this was probably his main source of income. It's interesting then that he chose to record his occupation as Innkeeper on the marriage certificate possibly trying to suggest a higher standing in the community.